Ladies Spaghetti Top With Logo. 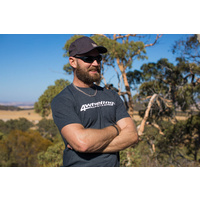 With 4 Wheeling In Western Australia Logo. The Spaghetti Top is 57% Cotton for comfort, 38% Polyester for durability and 5% Elastane for stretch. 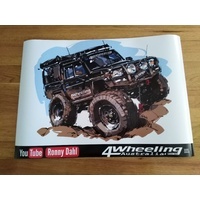 Help other 4 Wheeling In Western Australia. users shop smarter by writing reviews for products you have purchased. Men's T-Shirt with colour print. Copyright © 2019 4 Wheeling In Western Australia.